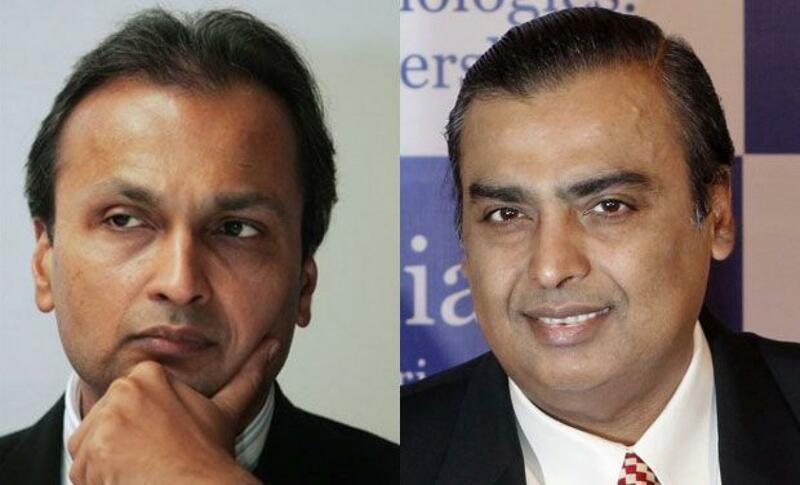 As many as 14 Indian families have made it to the inaugural list of Forbes\' 50 richest families in Asia, led by the Ambanis, who were ranked third on the list with a net worth of USD 21.5 billion. Indians hold 14 of the 50 spots, the most from any jurisdiction. As many as 14 Indian families have made it to the inaugural list of Forbes' 50 richest families in Asia, led by the Ambanis, who were ranked third on the list with a net worth of USD 21.5 billion. Indians hold 14 of the 50 spots, the most from any jurisdiction. Besides the Ambanis, the other Indian families in the top ten richest Asian business dynasties include the Premji family, ranked 7th with a net worth of USD 17 billion, and the Mistry family at the 10th place with a net worth of USD 14.9 billion. Other Indian families in the coveted list include Godrej family at 15th place with a fortune of USD 11.4 billion, ArcelorMittal group's Mittals (19th, USD 10.1 billion), Birlas (22nd, USD 7.8 billion), Bajajs (29th, USD 5.6 billion), Dabur India's Burmans (30th, USD 5.5 billion), Cadila Healthcare's Patels (33rd, USD 4.8 billion), Eicher Group's Lals at (40th, USD 4 billion). Shree Cement's Bangur family was placed at 42nd rank with a net worth of USD 3.9 billion, Jindal family (43rd, USD 3.8 billion), Munjal family (46th, USD 3.2 billion) and Cipla's Hamieds at the 50th place with a fortune of USD 2.9 billion. The overall list was topped by Lees of Samsung Group, whose 2014 revenues were equivalent to 22 per cent of South Korea's GDP. "While few dominate to such an extent, many business dynasties hold wide regional sway with their sprawling, cross-border empires," Forbes said. Interestingly, nearly half of the richest families in Asia are of Chinese descent, yet none of the inaugural 50 is based in the mainland. In the first-ever ranking of Asia's richest families, 50 clans hailed from ten Asian countries and were required to have a minimum of 3 generations actively involved in building their respective fortunes. The barrier to entry was USD 2.9 billion and valuations are based on stock prices and exchange rates as on September 25. Moreover, as many as 6 Indian families came close with a net worth of at least USD 2 billion but could not make it to the coveted list. Forbes said the Goenka family from India with a net worth of USD 2.75 billion is one such example. The family runs two separate conglomerates. Other clans not rich enough to make the list include Parle Products' Chauhans with a net worth of USD 2.7 billion, DLF's Singh family (USD 2.65 billion), Marico's Mariwalas (USD 2.55 billion), Berger Paints' Singh family (USD 2.5 billion), Bharat Forge's Kalyanis (USD 2.1 billion), Forbes said.